In the alps, there is sometimes a seemingly endless stream of competition for accommodation. It often forces a cap on room-rates, limiting your profitability. The hospitality industry is fast coming to the realisation that non-room related revenue streams are becoming more and more important. Yet these are often under developed. A well run, high functioning spa facility is a must with today's travellers looking for that holiday extra. Combine this with the ever increasing trend for clean living and healthier lifestyles motivating people to spend more time on themselves and to visit spas. But today's spa goers demand more than just a 'feel-good-factor' from their spa visits, they want the experience that a professional, dedicated spa management company like Massage Me can offer. You have a vision, you have the drive, you might even have the space ready, but you’re missing the knowledge. Massage Me will help you turn your vision into reality, transforming sometimes unused areas within hotels and chalets into high quality spa experiences, delivering you significant commercial potential. Our team are able to assist at each level of your operation or manage the entire spa operation. We will take on whatever level of your spa management that suits you and your business needs. Together, we will run your spa efficiently and profitably, always striving to exceed your guest’s expectations. Winter 2017/18 saw Massage Me open our flagship spa at the first ever Alpine Hyatt Centric Hotel in La Rosiere. SUMMIT SPA has been a resounding success and we look forward to increasing our management program over the coming months. Winter 2018/19 will see the opening of the new Folie Douce Hotel in Chamonix where Massage Me is proud to be opening the ‘Feel Good Spa’. 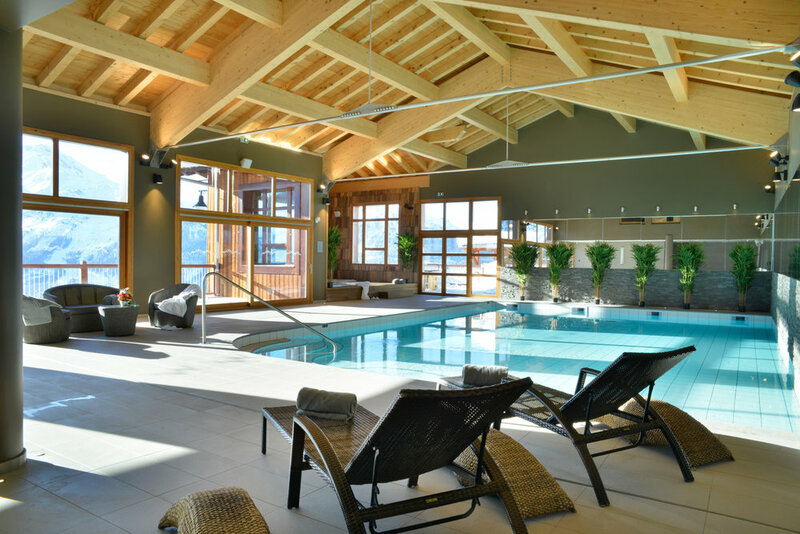 "We are delighted to have entered into an agreement with Massage Me to manage our new Spa in La Rosiere. They have at all times been extremely professional in their approach and put together a really good team who have worked closely with our management team to ensure a smoothly running operation that has been seamlessly integrated with the hotel." With our experienced, professional and flexible team, we will provide the support and guidance exactly where you need it. Our hands-on approach will create a bespoke solution tailored to your specific business needs. We will make sure that your spa offering is positioned correctly to appeal to your clientele and to enhance your entire product offering. From the products used in the spa, to the booking process, to the promotional material needed for your spa, we will take care of it all. Our experienced recruitment team, will source, train and maintain a team of professional therapists for your business so you can relax, knowing that your spa, and your guests are being well taken care of. You can be assured that our standards and procedures throughout all aspects of our operation ensure that the highest quality services are provided to you and your guests. If you have the idea but need help to turn it into a reality, contact our Spa Management team today and take the first step in taking your business to the next level.